DFS has joined together with designer Tom Dyckhoff to create a style fusion with its latest sofa designs. And it looks fabulous. Perfect for my taste and style. What’s really interesting, is that DFS conducted some research into what was the most popular period when it came to interior design. The results probably aren’t that surprising I guess. The contemporary, Scandinavian look of the noughties was most popular, followed by the post-modernist 1970s and then the art deco period of the 1920s. Their research also found that we are heavily influenced by TV and Film in terms of our decor likes with pieces such as The Great Gatsby and Downton Abbey inspiring us in our home decor choices. 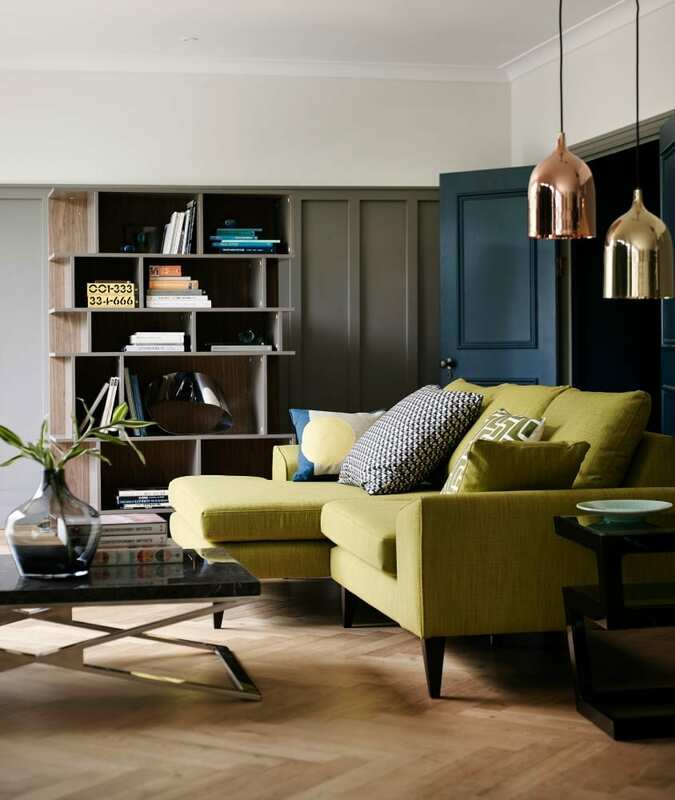 DFS then worked with architecture historian to create a fusion of these eras in styling up their new Quartz range of sofas, part of the exclusive French Connection range. The findings of the research also found that many of us like to take inspiration from more than one era and fuse them together to create their own, unique style. I guess I tend to to do this, and I’m intrigued that they found over 24% of us admit to being influenced by the glamour of the fifties and the futurism of the seventies. Tom Dyckhoff supports these findings, and used these ideas for his styling. I think it’s an interesting combination and the glamour pieces help to give the whole look a more grown up, sophisticated edge. It also shows how versatile a contemporary sofa can be, and that they fit into many different home decor styles. A clever move from DFS. Pick a bold statement piece of furniture and make it the focal point of the room by setting it against neutral, dark tones. 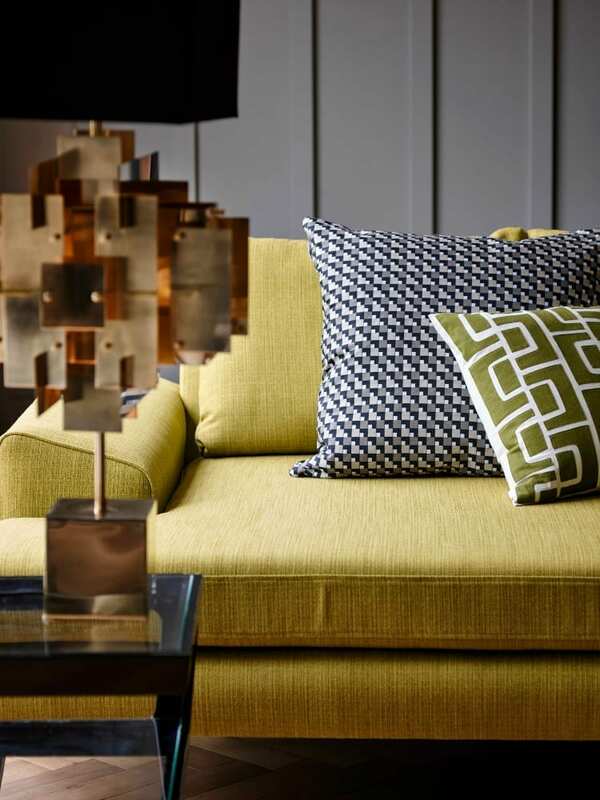 Then add that all important touch of seventies glamour through metallic accessories such as picture frames and lampshades, plus bold, geometric shapes and prints. To create this look, don’t be afraid to be overly opulent, it’s all about the unusual patterns and colours. And remember that copper, bronze and gold shades are very on-trend this season. What do you think of this look? Is it something that could work in your home? 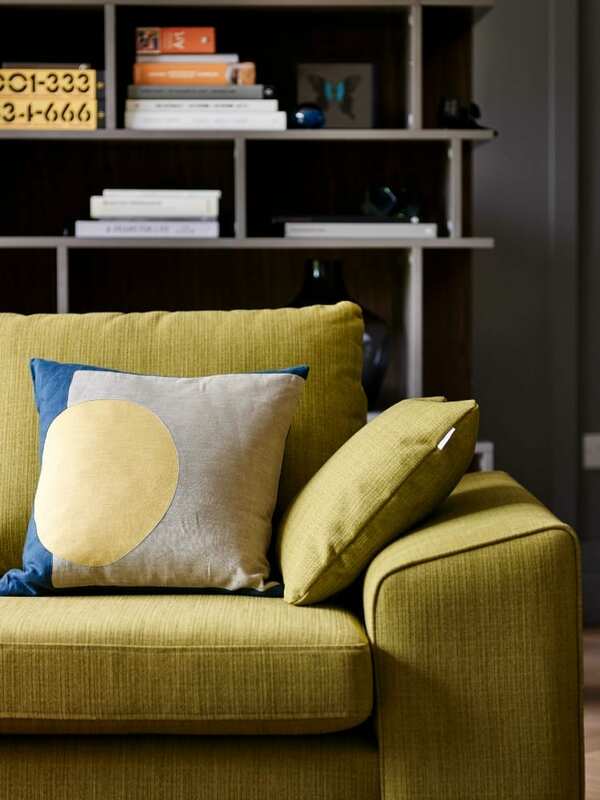 All images are from The Quartz collection at DFS part of their exclusive French Connection range. These are a fantastic mix between vintage and modern. Gorgeous! Gorgeous sofa! I love both the style and colour, it is very stylish indeed – as is the way the room has been accessorised around it – beautiful.